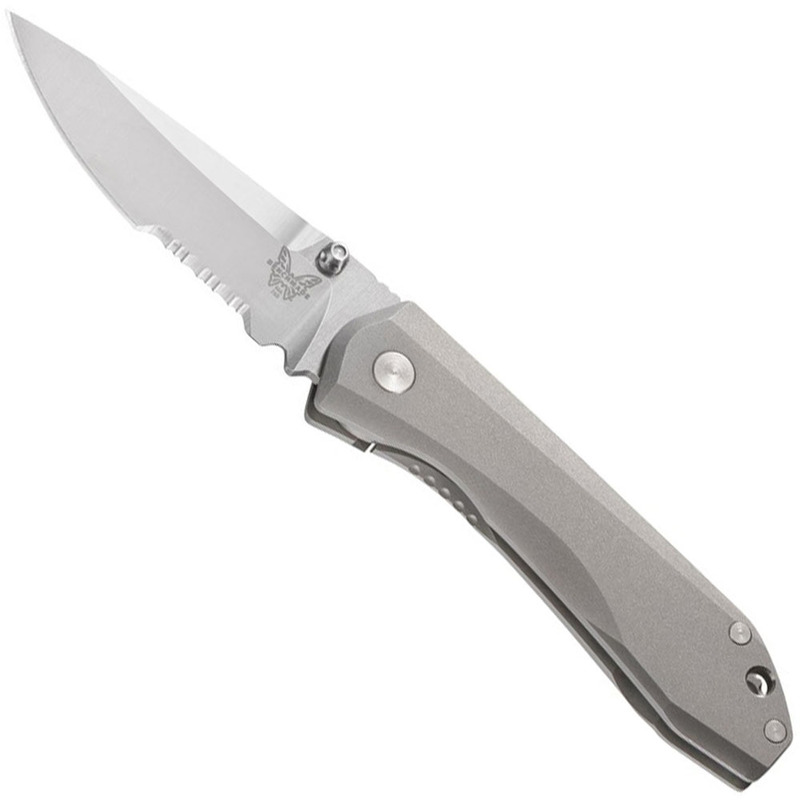 The Benchmade Mini Titanium Monolock Combo Knife is an upscale blade designed to perfection. Smooth, sleek, and modern, this flagship folder features a sandblasted titanium handle, satin finished M390 steel blade, and a secure monolock frame lock. The compact EDC knife has serrated teeth on one half of its blade, ideal for ripping through rope and fibrous materials. A lanyard hole and tip-down pocket clip are built into the handle. Measures 191 mm (7.5 inches) in overall length.